If you need proof of how far certain genres have come in the last few years, just look at how gameplay that was considered a revolution in 2005 is now being treated as a relic in its next-gen sequel – I am, of course, talking about Resident Evil 5. 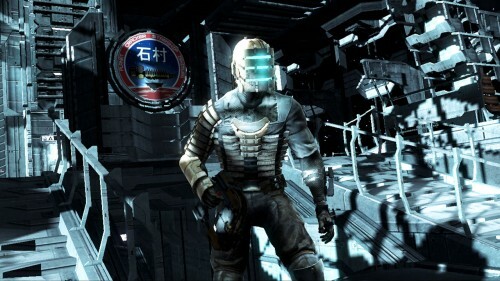 Blame Dead Space for spoiling us if you like, but the fact is that few genres have come all that far in the last five years in any respect other than visuals. 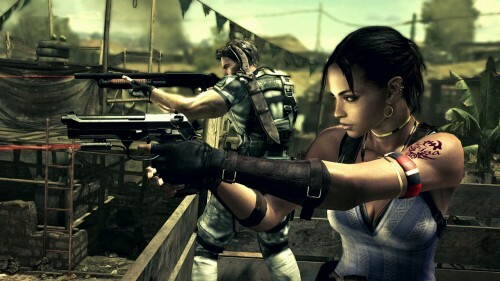 Maybe it’s played things too safe, which is what people seem to be piling on about, but the fact remains that when you play Resident Evil 5 as Resident Evil 5 and not what you think Resident Evil 5 should be, you’ll have a great time. People are rightfully disappointed in Capcom’s conservatism, but it’s still based on what few will dispute is a classic game and a frontrunner for the best game of the last generation. Dead Space moved the survival horror/action sub-genre forward, but it hasn’t made Resident Evil 4 a worse game and thus to say that Resi 5 is a bad game is hyperbole. Don’t let me stop you throwing some vitriol over the DLC situation, though. Capcom deserves a kicking over that, if not the game’s overall quality. It’s a veritable Halloween in February here, what with this and Left 4 Dead occupying lofty positions in my current playlist and F.E.A.R. 2 shortly to join my collection, but before the inevitable comparisons to Resident Evil 5 start turning things a bit nasty, I have to state how bloody good this game is. 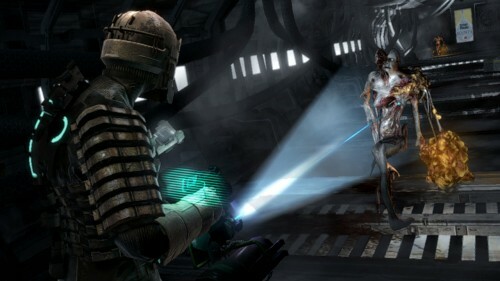 I’m not getting into that whole Resi 5 comparison because it only ends in tears – suffice to say that Resi did it first but Dead Space has better controls – and this game can stand on its own merits. Yes, it has obvious filmic inspirations as well, and the similarities between the aesthetic here and stuff like Event Horizon, Alien, and The Thing are so clear as to almost go without saying, but this does its own thing where it matters and has plenty of surprises as it begins to ramp up within a couple of chapters. By that point you’ve been through several of the Nostromo Ishimura’s environments and it starts to mix things up on you a little bit. It’s actually quite difficult to put my finger on what exactly it is that I like so much because so much has been seen before, so I’m just going to have to shrug and say that it’s just a very good, very polished game. It doesn’t really do anything new, a couple of nifty gimmicks like the dismemberment and zero-gravity sequences aside, but what it does it does well. Maybe the fact that people have seen a lot of the stuff before is part of the reason why it didn’t set the sales charts on fire, but I don’t think it’s a bad thing. There’s nothing wrong with a game just doing old things in a polished and pretty way. It has fantastic presentation – the graphical quality is obvious from the screenshots and the HUD design is superb, but the audio is beyond stellar – and, if nothing else, the development team at EA Redwood Shores knew which parts of which games to borrow in making a well-rounded horror experience. Nothing wrong with that when it’s done as well and is as fun as this, right? This may be tempting fate – new EA is still EA, after all – but fingers crossed that Dead Space did enough business to warrant a sequel. It’s fair to say that I’ve been critical of EA in the past, accusing the company of everything from single-handedly bringing down the industry to the ritual murder of virgins… maybe. It’s been massively improved recently, though, somehow turning Pro Evo into the football franchise that’s resting on its laurels with the really rather good FIFA 09 and, for every questionable decision, releasing a few games that are actually pretty risky and unique. In the last year, for example, Burnout Paradise was a major departure from the previous games’ successful formula, and it has since been supported by some incredibly diverse downloadable content, most of which has been free. Bearing in mind that this is the company that has charged for in-game money and that’s incredible. Rock Band 2 came out and, understandable licensing fee aside, Harmonix was allowed to patch in the ability to export almost every game from the original game for the new one, which made me happy. Then, this Christmas, we’ve had Dead Space and Mirror’s Edge, both new IPs that bring new things to their respective genres – if Mirror’s Edge could even be considered part of a traditional genre – and have allowed a couple of clearly talented studios to cut loose from their usual licensed pap and Battlefield drudgery respectively and flex their creative muscles. It’s not all that surprising considering that people are going to be picky about their games and new stuff like this has to go up against guaranteed sellers like Gears 2 and a new Call of Duty, but it’s still a huge shame. I’ve seen some pretty good deals on both of those, and Dead Space in particular is brilliant, so if you’re looking for some late Christmas presents at least consider them because otherwise the new EA will take over from Activision as the new old EA… or something.